PC Usage Viewer is free. Does not need to run in the background. Doesn't write to the registry or modify any files. Have you ever wondered how much time your PC has been active in the last weeks? With PC Usage Viewer now you can! PC Usage Viewer provides 3 different ways to see exactly how much time your PC has been running every day. 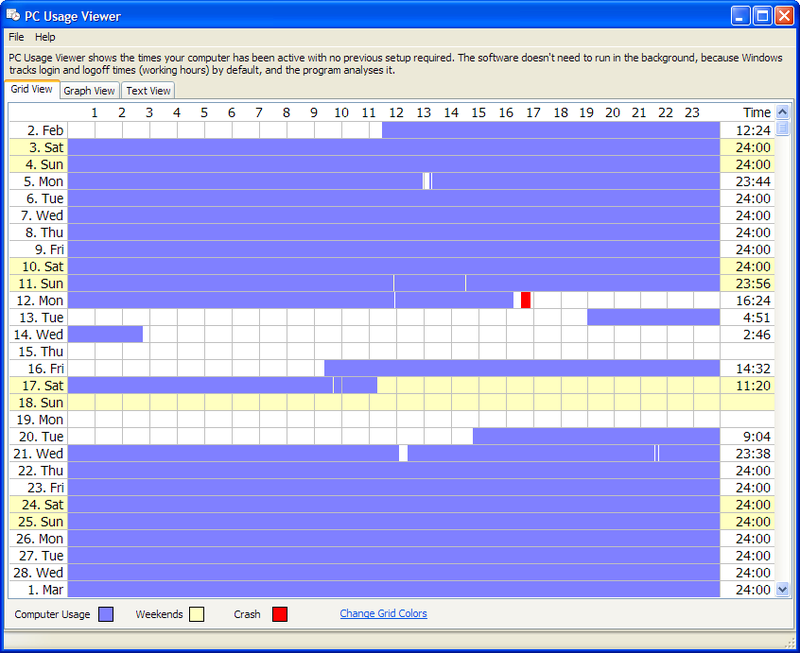 You can select between a Grid View, Graph View and Text View to see in detail how many hours your PC has been used each day.